What is BeoutQ, and why are F1 desperate to shut them down? The issue of pirated TV broadcasts has long been a problem in other sports, particularly football, but a company known as BeoutQ have begun broadcasting F1 races for free through their network, leading Liberty Media to issue a statement condemning their actions. 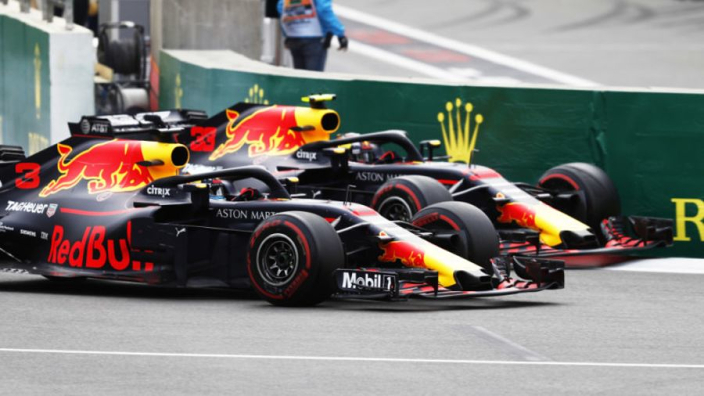 BeoutQ are thought to be based in the MENA region and as well as broacasting football matches in the Champions League and the World Cup, they have moved into the realm of Formula 1, with Sunday's race in France widely available for free through their service. With Liberty Media having only recently established their own on-demand subscription video service within the past few months, and with lucrative television contracts in place across numerous countries, Liberty see BeoutQ as a legitimate threat to the longevity of these deals and their ability to generate substantial revenue from them. In a statement provided to UK-based newspaper the Independent, the FIA said: "It has come to our attention that certain Formula 1 content from the 2018 FIA Formula One Championship has been illegally transmitted by the channel known as BeoutQ operating primarily within the MENA region. BeIn Sports, a sports media company based in Qatar, have been significant victims of the operation of BeoutQ and in their own statement were keen to stress that is not a mere isolated incident, but a financially-backed company with significant resources. BeIn said: "The pirate channel BeoutQ is not a small outfit operating out of someone’s bedroom. This is piracy on a massive commercial scale with multimillion dollar funding underpinning. The political situation between Qatar and Saudi Arabia is extremely tense, with a trade ban in place and other punitive measures against Qatar planned, and the feeling is that BeoutQ has been established from Saudi Arabia as a direct result of the relationship between the countries. Saudi deny such claims, branding them as 'baseless', but with the football governing bodies of Fifa and Uefa also releasing statements condemning BeoutQ, this is likely to be an issue that will continue and could be damaging to Liberty Media's future business model.